When I was in Junior High/High School, the library was nothing more than the place that housed the encyclopedias and whatever else I might need to complete a research paper or other such project. I never appreciated the library for what it was—never saw its full potential. It didn’t help that the local branch, while a mere 2-3 minute drive from my house (also known as walking distance to the non-lazy), was old and run down, with a small selection of books. 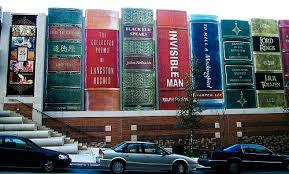 The library became less and less important as time went on, to the point that I thought they were all but obsolete. 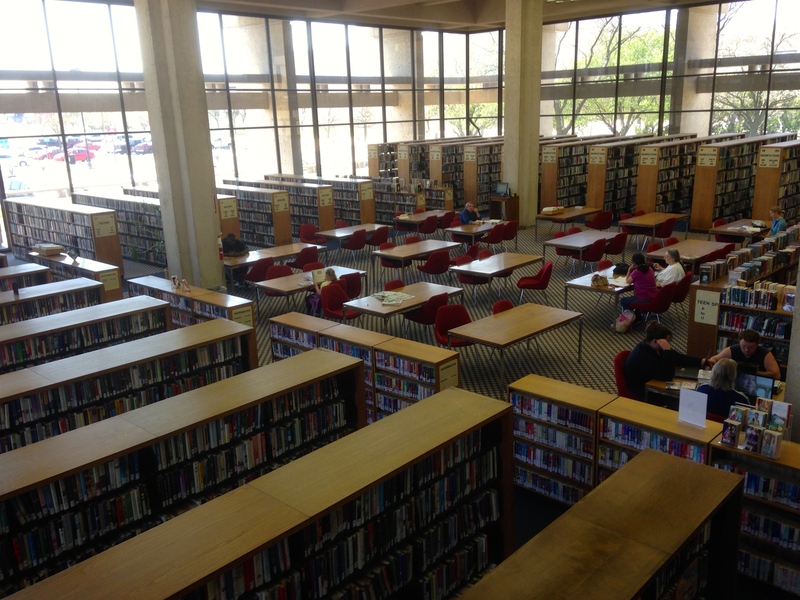 After moving to the Midwest I never thought about the library once, until I started blogging. Among the blogs I started following was Eleventh Stack, run by the fine people at the Carnegie Library of Pittsburgh (they don’t just blog about ‘library stuff’—it’s all things movies and music as well as books). Seeing one of their recent posts lit the light bulb over my head—Hey, yeah, libraries…remember those? I wonder if there are any still around. I looked up my local branch (which, while not walking distance is still very close) and decided to take a trip down to get my library card and have a look around. I was less than impressed. It was much as I remembered the libraries I’d been to in the desert: small, old, and with a limited selection. After some thought, though, I decided to try again. My reasoning being that while my local branch was small, I do live in the largest city in my state, and surely the main branch would have more to offer. I located the central branch and went to check it out. Well, now. This is better. The building was impressively large from the outside and my hopes began to rise. I walked through the automatic doors into the atrium and my expectations were blown out of the water. The library is three stories in all, with a ground floor, upstairs, and basement level. I realize how silly this sounds, but I was kind of amazed by how vast the library was. Having only been in my small-town desert libraries years before and the local branch recently, this was incredible. The bottom floor houses administrative offices and a Genealogy department, which I only poked my head in for a look around but did not actually enter. Another time. The top floor is dedicated to the arts and multimedia—CD’s, DVD’s, and books about art/artists, music/musicians, etc. I did a little more exploring here, and on my next trip I will definitely cover every square inch. This visit however, was dedicated (naturally) to fiction. Looking down from he landing between the ground floor and top floor. To be honest, for as large as the library is I expected there to be more fiction, but seeing as how this is the biggest library I’ve ever been to maybe my expectations were unrealistic. There was still a very large amount, split between general fiction, mystery, fantasy/sci-fi, and western. Now that I think about it, I didn’t see a section for romance—do most libraries have a romance section? It would seem like they should. Anyway, I perused the shelves and found books by just about every author I could think of except for Chuck Wendig and Jack Ketchum, who I suppose are a little more under the radar. Aside from Stephen King, every author I did find had books I wasn’t familiar with, so I look forward to reading more obscure work from some of my favorites. From the far wall, looking toward the top floor. After some walking back and forth and careful deliberation, I picked a book from an author I knew and another I’d been wanting to read for quite a while. And you know what? As silly as it sounds, I like having a due date—it gives me a deadline. I know I can renew them or simply pay the minuscule late fees, but if I finish these two books by May 16th I’m going to feel like a freakin’ winner. I’m leaving out the rest of the ground floor, with its technology center (computers with internet access), plus its massive non-fiction area and the references and periodicals, which I stuck my nose in briefly, and what I believe may be the area where you can get the most bang for your buck, audiobooks (seriously, why are audiobooks so expensive?). They had a fair selection, but I didn’t spend much time looking as most of my audio listening is digital nowadays other than in the car, and I’m not currently planning any cross-country road trips. Again, another time. So tell me, do you guys take advantage of your local libraries? Leave me a comment and let me know. Meanwhile, I’ll be doing some reading—I’m on a deadline here. 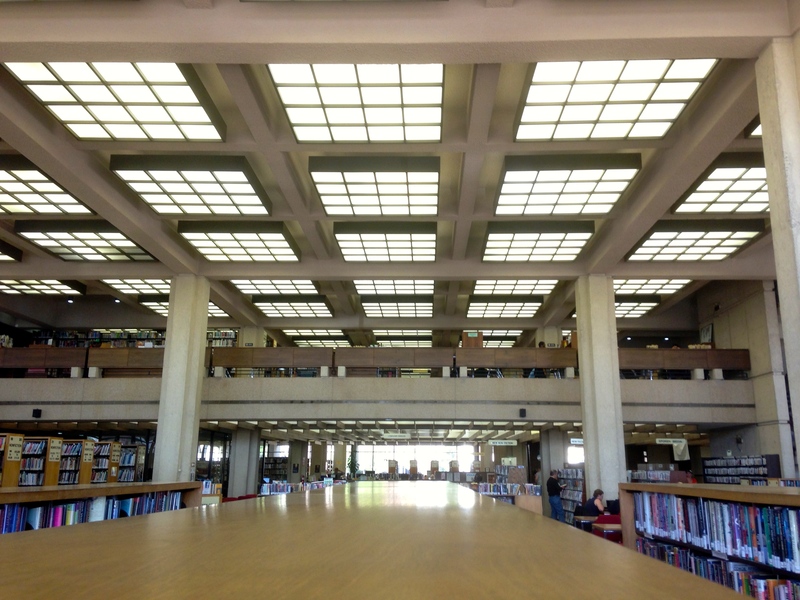 EDIT: I’ve come to find out that I’m publishing this post two days after the end of National Library Week, so as usual my timing is impeccable. As a tribute to libraries in general, here’s a picture of the Kansas City Public Library, which has the coolest parking garage ever. 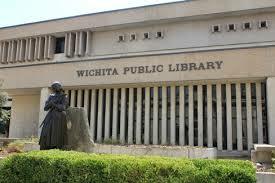 This entry was posted in Books and tagged books, Fiction, Kansas, libraries, library, Reading, Wichita. Bookmark the permalink. I think libraries are awesome! Kudos to you for endorsing such a great institution. It is a shame so many have closed or become severely lacking in support and resources. The digital age has truly had some negative impact…. Sadly, I live in a small town where the library is sorely lacking in selection and updated technology. I believe it is almost all privately funded now. However, there is a huge fund raiser luncheon each year that supports our library and keeps it running. I have been for the last 2 years. They bring in an author as the key note speaker and the plates are $30 each or $40 if you would like to meet the author for book signing reception before hand. The author is usually gracious enough to sign books at the end as well when you purchase a book. I live near Dallas and the authors from the last two years live there (neither are natives) but they reside and publish from there. They are not as big as John Sandford or Lee Child (two of my favs) but they have both written and published several books. These were female authors and gave lovely speeches about their books and how they got published the first time…how they did research..why they write…etc. The fundraising events sound cool. The only readings/book signings they have here are generally at the locally-owned indie bookstore. I need to subscribe to the library newsletter so I know what’s going on. I’ve been to Dallas proper once and to Plano a couple years ago, I liked it, what little I saw of it. Thanks for commenting! Our local library system in Olympia is amazing! If a book (or movie or CD) is at another library within the system (which encompasses five counties), you can have the book sent to the library of your choice – and it usually only takes a day or two. And the selection of music and movies is very impressive – brand new releases, obscure indie rock, punk, gangster rap. Really, they have it all. They also have a nice children’s area with lots of books, games, puzzles, and blocks. I take Emmett every couple of weeks because he loves playing with the other kids and checking out new books. I was just reminiscing the other day, though, about how much I missed card catalogs and encyclopedias. I remember spending hours at the library taking notes for a paper because you couldn’t check them out. Now, all kids have to do is look on Wikipedia (which shouldn’t really be able to be cited as an actual source, in my opinion, but teachers seem to accept it). I love libraries! For some reason I’m not surprised the library there is cool. I’m anxious to check out the music, but I’m afraid it might lack some diversity. Thanks for commenting! I use our local library all the time. Its actually decent for this crappy little town. One thing they’ve done that I really like is get things online. So I can get online, find the book I want, and reserve it. They pull it, give me a call, I walk in and grab it. This keeps me from spending hours in the library and leaving with a stack of 20 books. I read a lot of young adult fiction with Marek so I do this a lot, to the point where they know my name and know me by sight. They also order books if they don’t have them or borrow them from other libraries. I managed to get some archaeology books that way because I couldn’t afford to drive to my University’s library 4 hours away. We can also ‘check out’ ebooks and I have done that a few times. I just don’t like reading on my laptop. I do enough of that with scholarly stuff. For relaxation I want that paper in my hands. Great post! I’ve had a love relationship with libraries ever since I was a child. Our local library’s not the best, but it recently added the ability to check out e-books. I like that because they return themselves. I’m notorious for having to pay fines (the librarians love it, though!). I have a feeling I have late fees in my future, too. I’m starting to get the feeling I wasn’t using the Overdrive app right. I couldn’t seem to find any books. As much as I like physical books, I’d love to check out e-books.